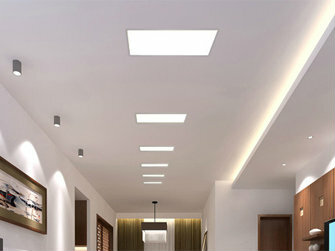 So you have yourself some LED panels and you want to install them in your place of work or maybe even in your home. The only problem is that they’re a little bit different than normal lights and you may not know how to run them all together or make them look nice in your office. We’re here to tell you how to properly install these types of lights and get the most out of them while still making them look rather attractive in the place they’re installed. Keep on reading to hear some tips and tricks about installing these lights properly and making them look great! Why use LED light panels? LED lights are a great replacement for CFL lights because they are more energy efficient and therefore can save you a lot of money in the long run. Due to this fact many apartment buildings and offices are actually switching over to LED lights. Many public schools have been using LED lights in their classroom for a while now since they help keep students awake and keep the schools as bright as possible. And government organizations too are beginning to recognize the money-saving benefits of choosing LED lights over any other type of light source. On top of that, LEDs actually last a lot longer than most traditional light bulbs do. For example, LED bulbs can last up to 50 times longer than CFL lights meaning that you won’t have to change the bulbs as often as you would normally. This will also save you a lot of money in the future because you won’t have to repurchase your light bulbs as often. And you will even know when the light starts to go bad because LED slowly dims over time as they start to burn out. As for how to install LED panel lights, first things first you need to cut the power and make sure everything is safe in order to begin your work on the lights. If you don’t cut the power off you run the risk of electrically shocking yourself and anyone else who decides to touch the wires or help you. Send your family away while they’re doing this if they can’t live without power for a bit. Also, you’re probably going to be working on this for a few hours, so make sure everything you need is charged in case you need to make a phone call or use the computer. And under no circumstances should you ever turn the power back on while you’re still working on the lighting. So instruct everybody in your house not to mess with your breaker box so an accident doesn’t happen. If you have small children make sure you keep them out of the room where you’re working. The light panels themselves are pretty easy to install. You will have to know a little bit about how to be an electrician to get them to work though. But it’s nothing too hard. You can install these light either suspended, ceiling-mounted, recessed, or wall-mounted. All you have to do for each method is make sure that they have a power wire running to them and make sure to securely mount them to the ceiling or wall that you’re screwing them into. If you’re having a suspended panel then you may want to use metal cables to hang them to make sure they don’t come loose in the future. And if you’re replacing another light with an LED fixture be sure to find a LED panel that fits the size of the old light and can be installed rather easily. For this, you’re probably going to need a drill to put some holes in your ceiling and a screwdriver that fits the type of bolts that you’re going to need to fasten. You will also need some pliers and rubber gloves to work with the wires. Make sure that all wires are properly placed by the end of it and none of them are loose. Also, try to put any pieces that go with a light together before climbing up on the ladder and trying to install the light. If your light fixture is all together then it will be easier to install it instead of trying to put piece by piece onto the light when it’s already hooked up to the ceiling or wall. And if you ever need help doing this or you feel like you’re not up to the task, be sure to call an electrician. The wall fixtures and ceiling fixtures are not too hard to install but for some people, it can just be too much. If nothing else learn some basics of being an electrician before you begin your work. When installing these lights I also recommend having a buddy to help you. If you have a friend that can hand you tools and help hold the lights up while you’re screwing them in then things will be much easier and safer for you. This could help you finish your task quicker and better because if you try to install these lights on your own you’re going to find out pretty quickly that it’s hard to safely do that alone. Especially if it’s a big panel you can end up either hurting yourself or breaking the panel and having to spend more money in the long run. And if you have a friend who knows a lot about lighting fixtures, they can be a huge help to you by directing you on how to install a light fixture and teaching you how to do it on your own. Installing LED panels isn’t hard, But if you are doing it for the first time, just like with anything, it can be a challenge. 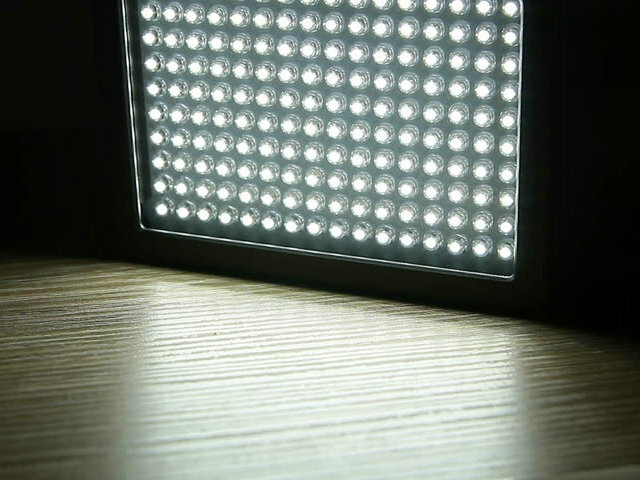 So make sure you read up on how to properly do it in this article on LED panel installing tips. And above all, make sure you are safe when installing the fixtures because electricity is no joke.